Title: 'An Accurate Map of The East Riding of Yorkshire, divided into its Wapontakes, etc'. 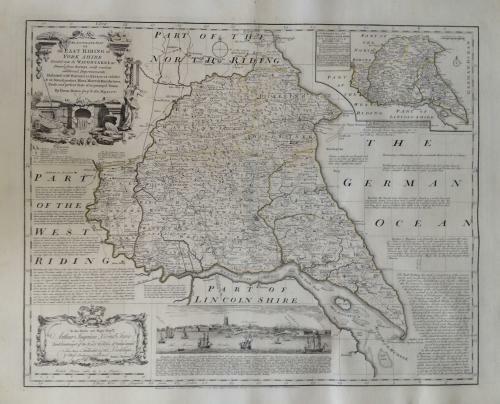 An intricate and elegant map of the East Riding by Emmanuel Bowen produced in the 1760's. Richly decorated with an insert view of Kingston upon Hull and very subtle original colouring of major boundaries.